Product Launches. Scientific Posters. Meeting Materials. Universal Graphics is your marketing support partner throughout a product’s life cycle. 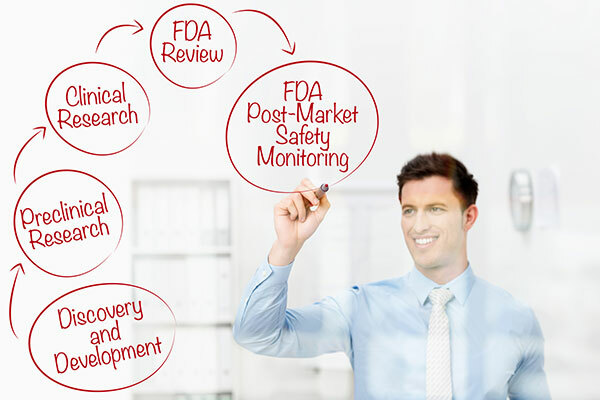 From clinical trial, to launch, to post-launch activities. Our key staff members have worked in marketing, product development, and on launch teams for major pharmaceutical companies prior to joining Universal. We have been helping clients for 30 years with meeting materials, PowerPoint slide coordination, scientific posters, and handouts. Managed Markets – We have been supporting Managed Markets groups for 30 years. Our clients rely on us for launch materials, customized pull-through items, e-training newsletters, mass mailings, training materials, and monograph production and printing. Our goal is to help your Managed Markets team get their message to market quickly. Learn how a major pharmaceutical company used the Digital Store Front for getting their message out faster. We can help you produce printed documents that facilitate more direct, personalized contact with each recipient. Universal’s systems are streamlined and all-digital. Finished documents can be ready as needed in hours – not days.